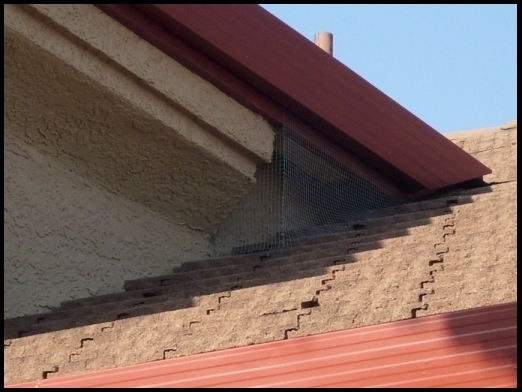 A damaged vent screen allowed birds to access and nest inside the ducting in this home. Nesting materials and droppings were falling down directly over the stove. 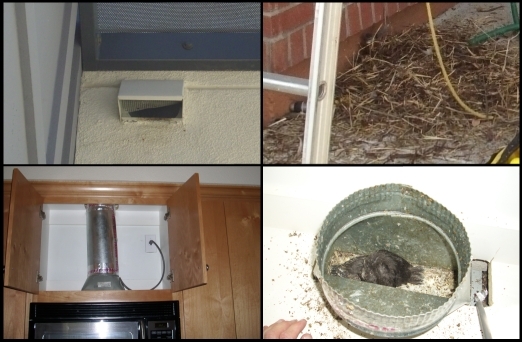 Many homes have problems with birds getting into and nesting in cubby areas like the ones pictured below. 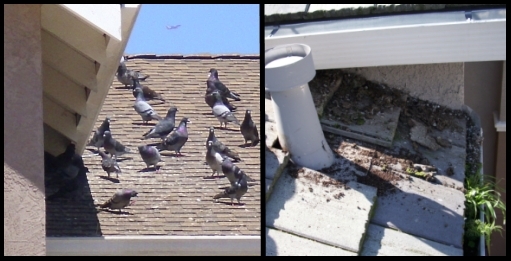 These areas sometimes also provide birds or other wildlife access into the attic area of the home. We install physical barriers to prevent birds from accessing these areas. 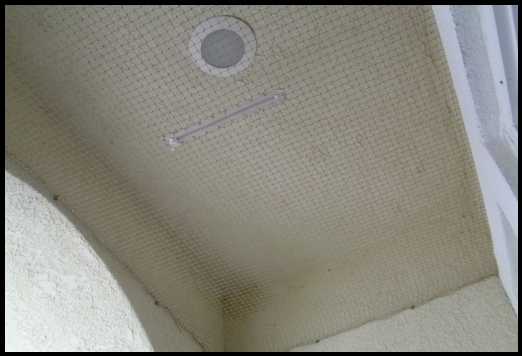 Bird netting can be effective in many situations including preventing swallows from nesting in entryways as pictured below. For the quickest response please contact us through this website or by email. Phone messages may take us several days to return. Our office will be closed for the Thanksgiving holiday November 21st-26th. Thank you for your patience. Unfortunately we are not able to rescue or rehabilitate injured or orphaned wildlife. If you found an animal that needs help please click here to visit the CA Dept. of Fish and Wildlife list of rehabilitation facilities. 2017Ruffled Feathers celebrates 8 years in Natomas! Ruffled Feathers Bird Control is a California Certified Small Business and Disabled Veteran Business Enterprise. We are also proud members of Pest Control Operators of California and National Pest Management Association. Our technician will present a customized plan to solve your problem. Modified from earthlingtwo by nodethirtythree and Free CSS Templates.